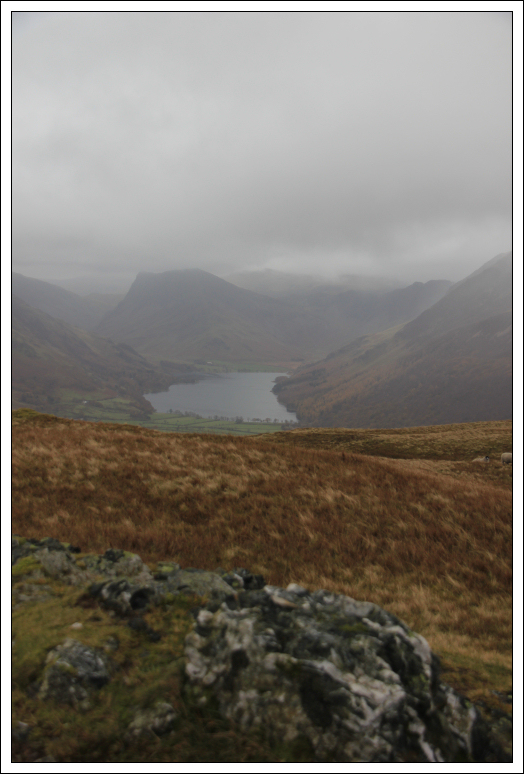 The weather today was fairly good except for low cloud down to 600-700m. 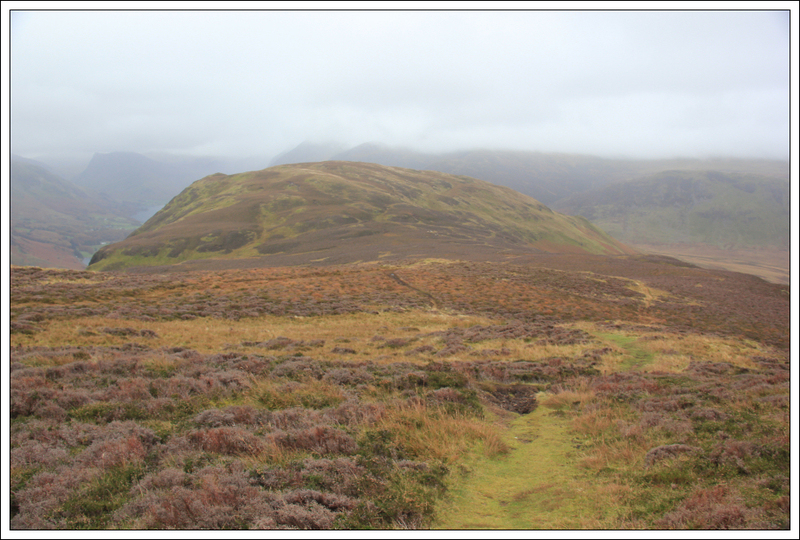 I therefore had a flick through my guidebook for an interesting hill below 600m in an attempt to stay below the cloud. 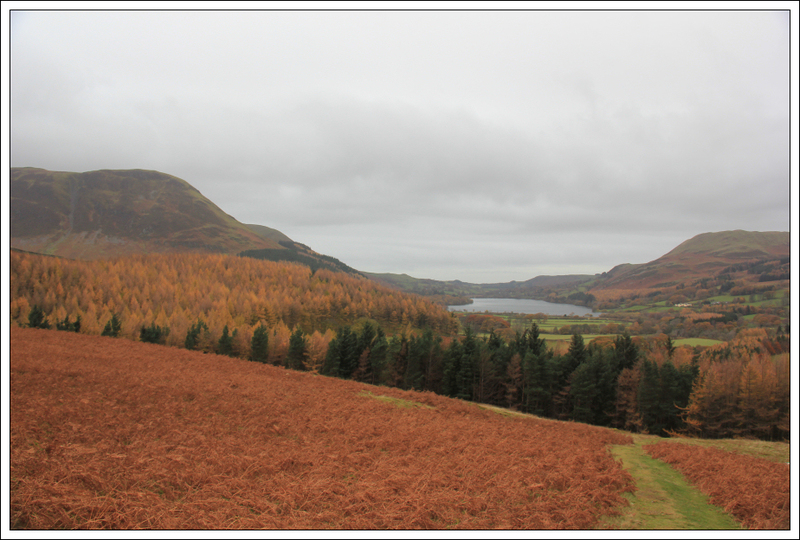 Mellbreak seemed to fit the bill nicely so I drove from my base at Thirlmere to Kirkhead near Loweswater. Instead of paying c.£7 in the car park, I parked free of charge just beyond the bridge near the Kirkstile Inn. Parking charges in the Lakes are mostly extortionate. However, if you look a short distance away from the formal car park you can usually find some free parking. 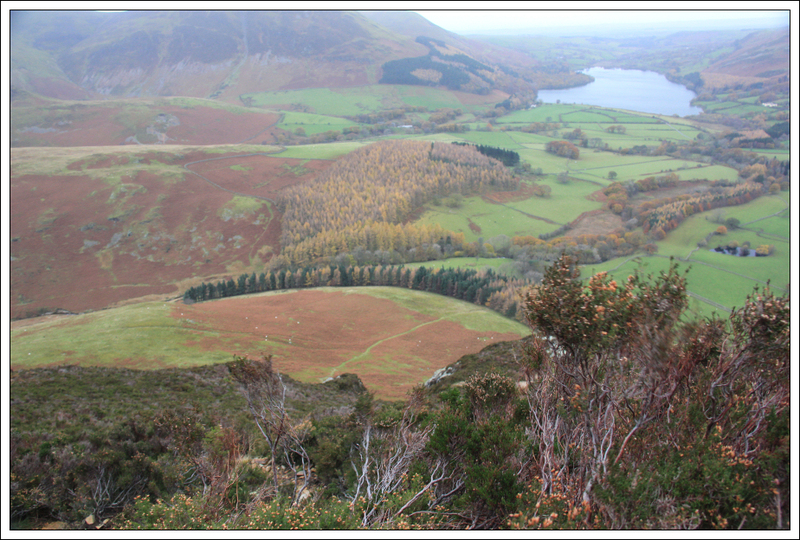 On looking out my car windscreen towards Mellbreak, the ascent up the North ridge looked dangerously steep. 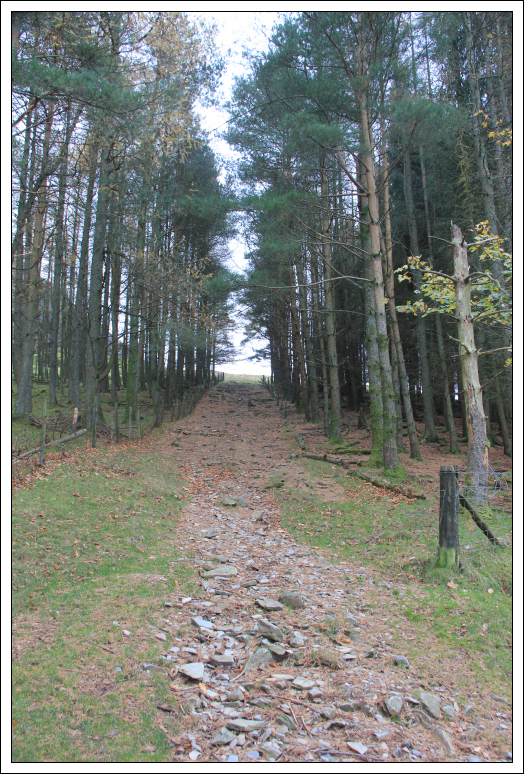 I therefore read through the guidebook again which confirmed that the way up was not as bad as it looks. I therefore got suited and booted and set of walking towards Mellbreak. I initially walked along a road past a farm until reaching a gate leading into a small wood. 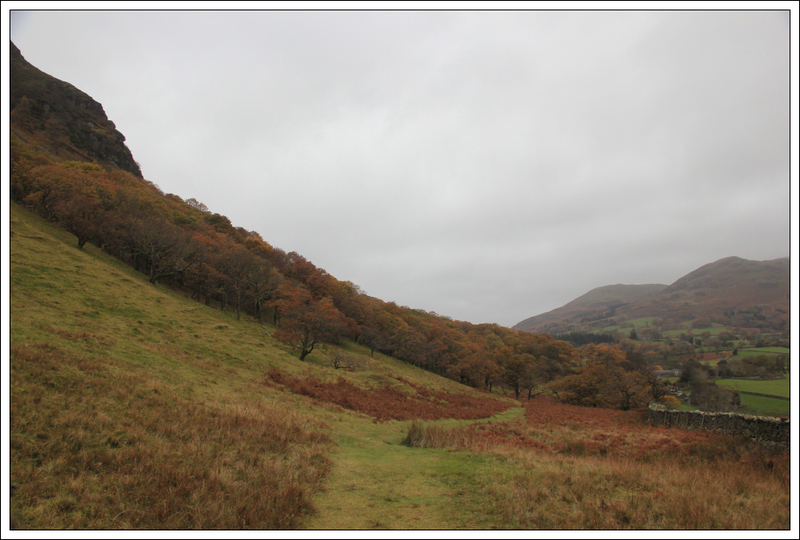 After ascending through the small wood, I continued up grassy ground towards the steep base of the hill. 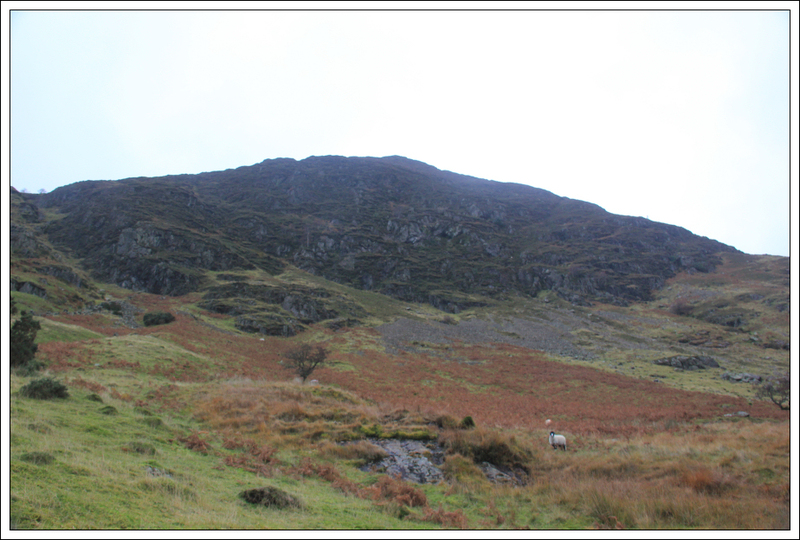 The initial scree slope was excellent – a diagonal line rising towards the face. 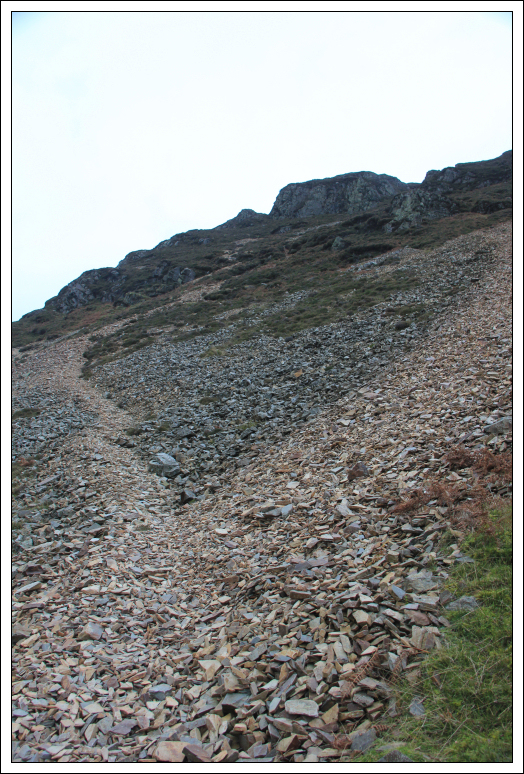 As I gained height the scree became less good and the path less well defined. 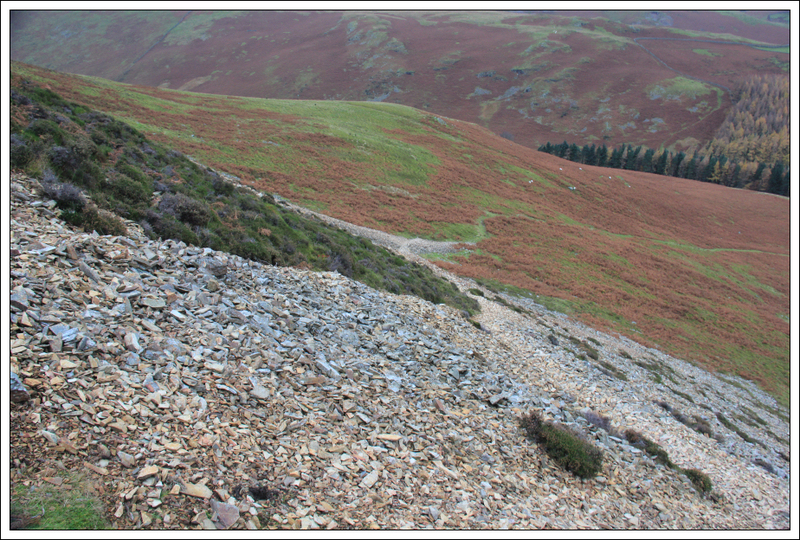 Once above the scree I followed a narrow twisting, turning path leading up through the various steep sections. There are several short sections of easy scrambling during the ascent and you do need to take care given the substantial drop below. 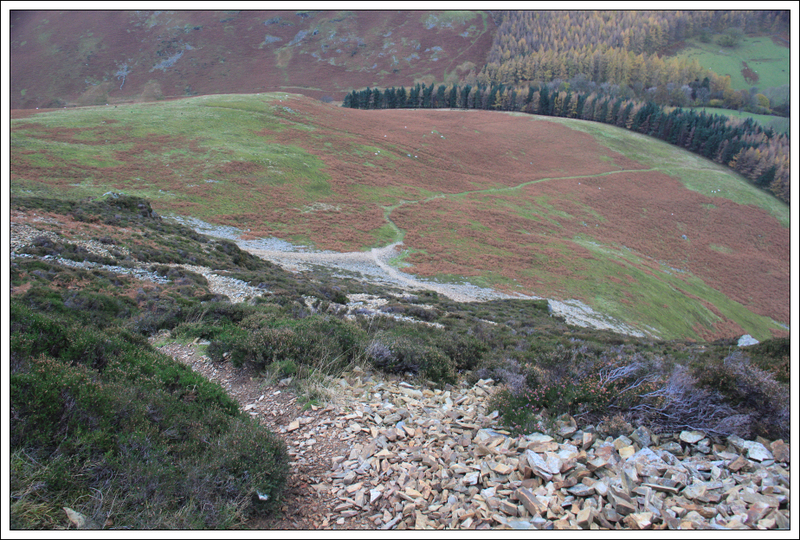 This ascent route is no place for a slip. The narrow path led me onto the top of several small bumps during the ascent. 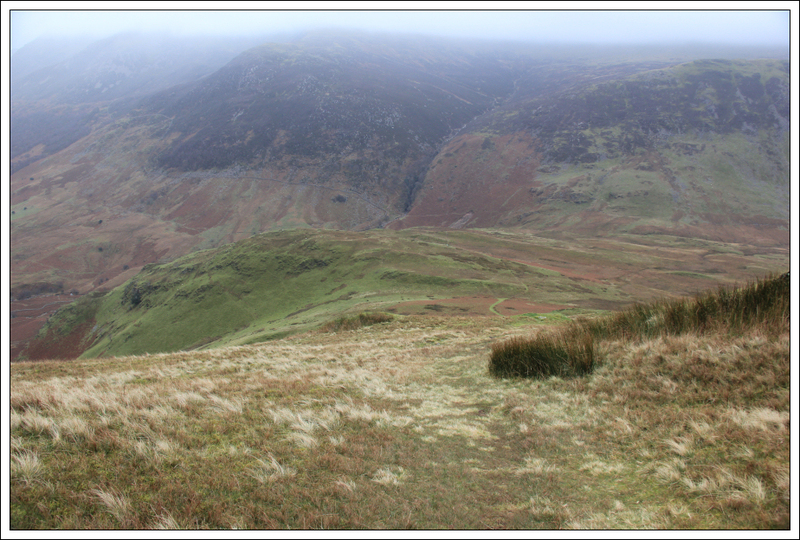 Above the steep section it was a relief to reach much easier ground a short distance away from the North Top. 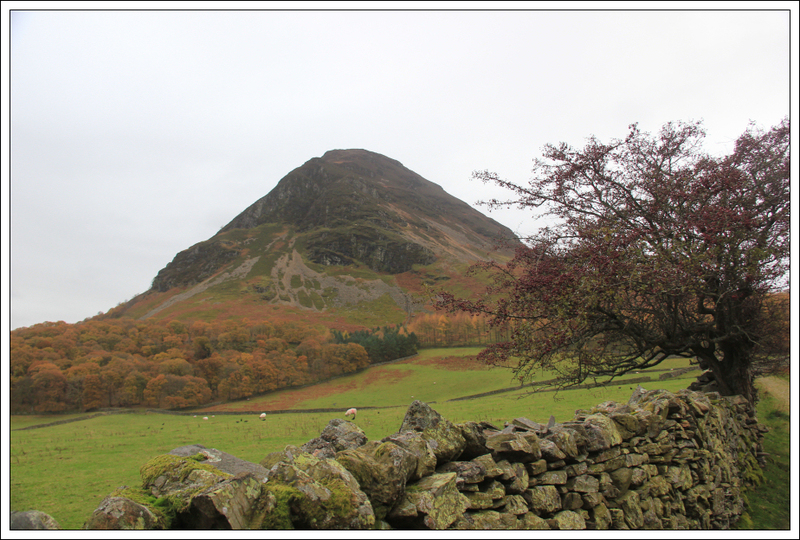 The North Top of Mellbreak is only 3m lower than the summit top circa 1km away. It was disappointing not to get great views from Mellbreak. However at least I managed to stay below the cloud, as planned. 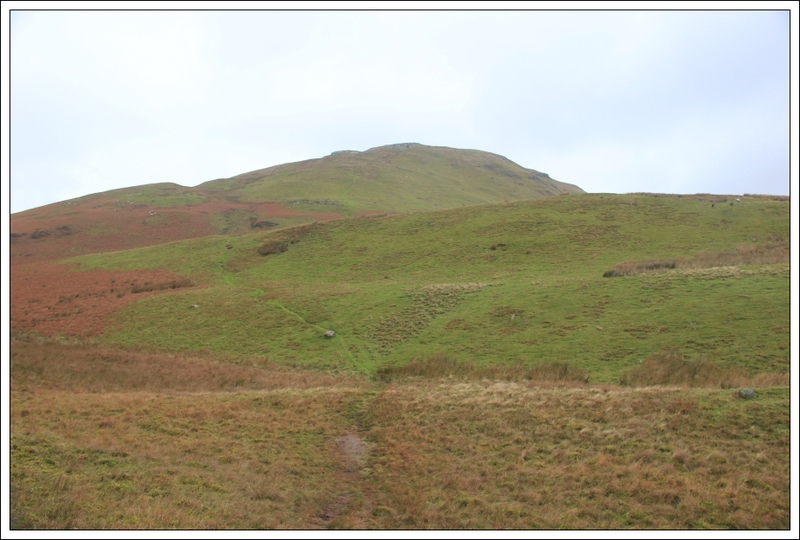 The walk from the North Top to the South Top was nice and easy albeit fairly wet in places. 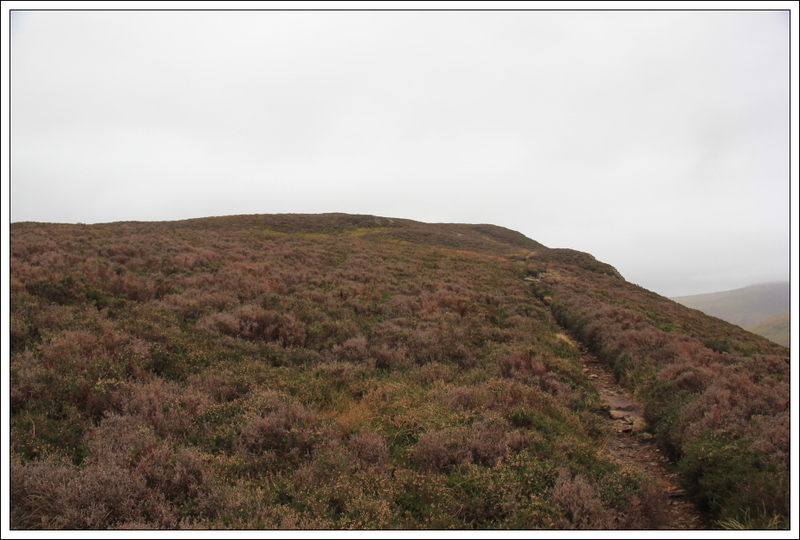 It was nice to walk across heather instead of grass or rock. 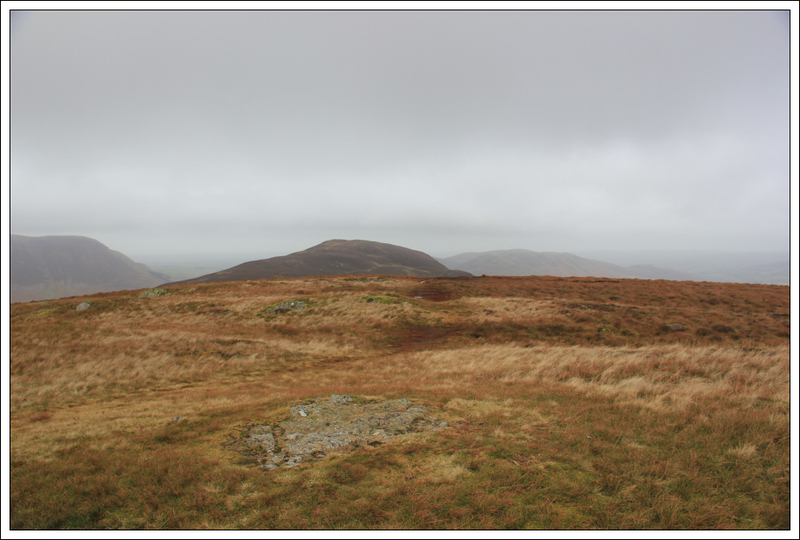 On reaching the summit area I had a walkaround to ensure I visited the high-point before continuing Southwards to descend towards Scale Force. 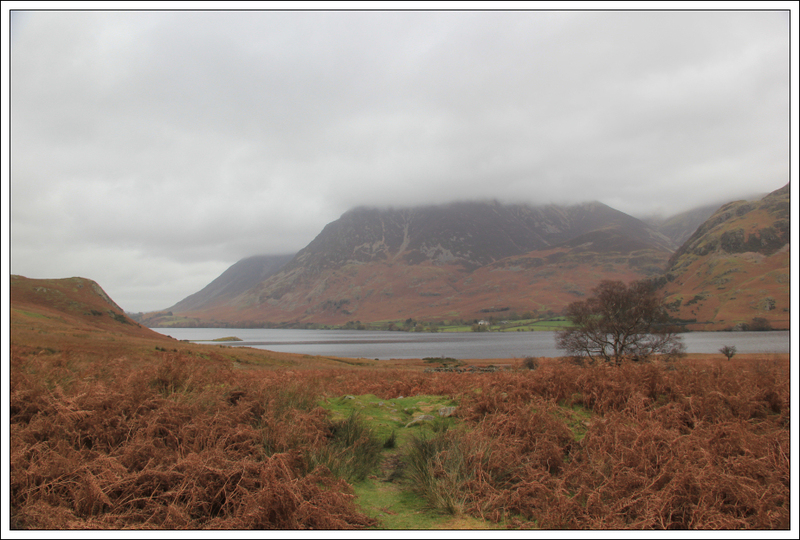 Buttermere wasn’t looking at its best today. 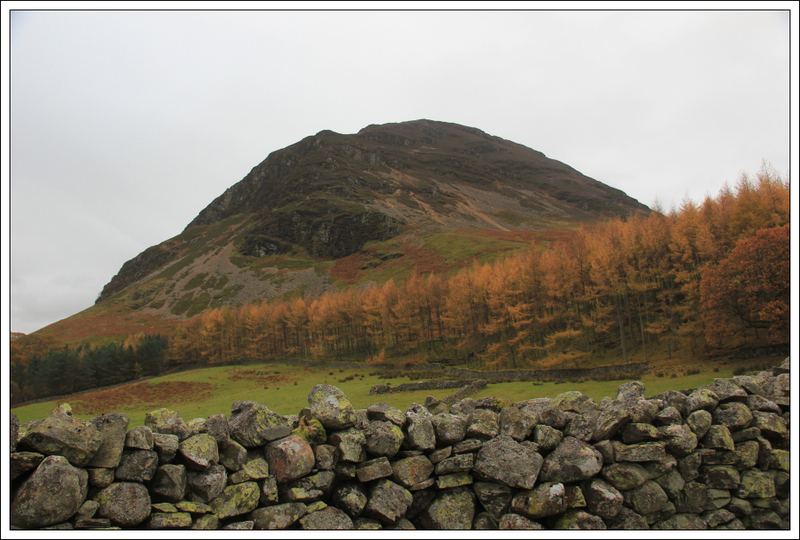 It looked much nicer four months ago when I undertook the Dale Head horseshoe. 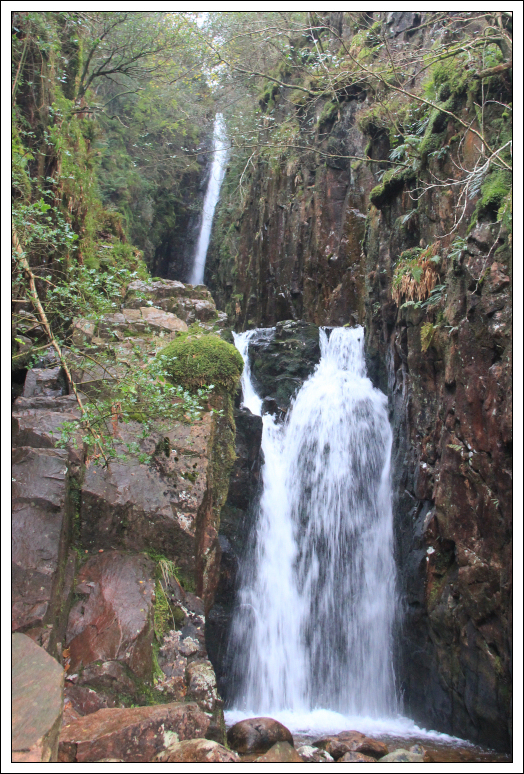 As I approached the base of the hill I decided to take a short detour to visit Scale Force. 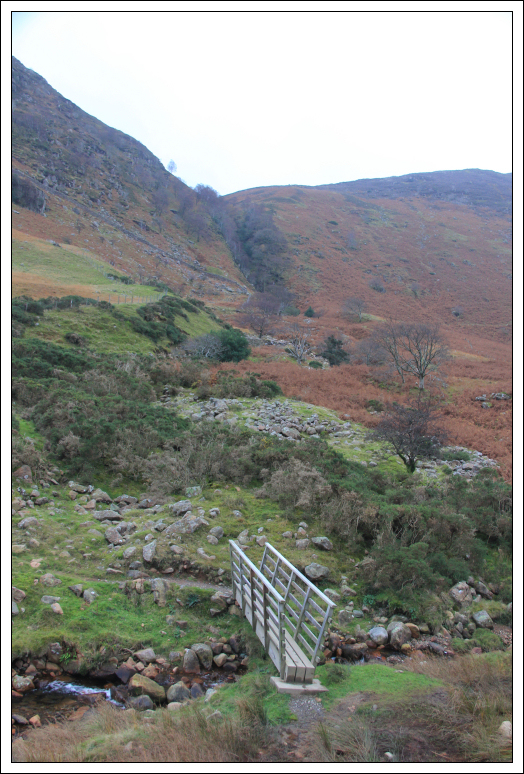 From Scale Force, I opted to return to the starting point by traversing round Crummock Water. While the views from the lakeside path were ok, I wasn’t particularly impressed with the path. 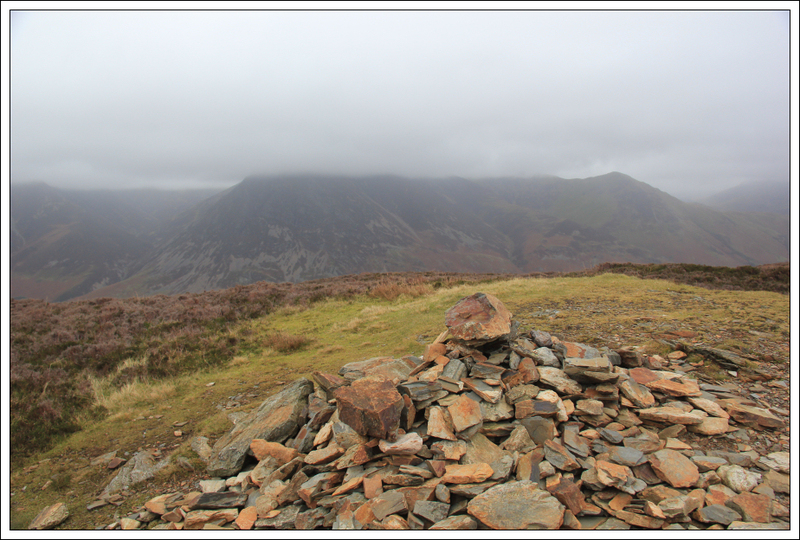 It was fairly wet in places with lots of annoying rocks which slowed me down. I got back to the car 3Hrs 10Mins after setting off (including the detour to the waterfall) which I suppose was not too bad compared with the guidebook time of 5Hrs. A tortoise could probably undertake the walk in 5Hrs! Another successful trip to the Lakes comes to an end. 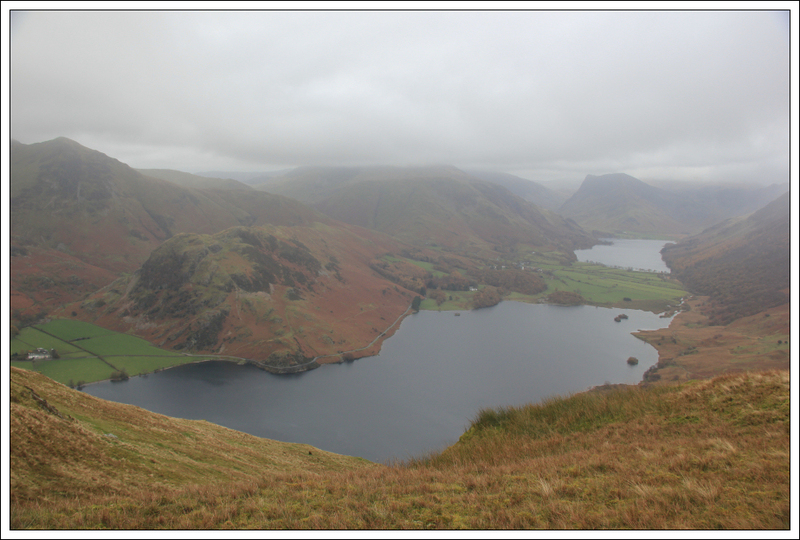 In the past year I have visited the Lakes three times ascending 6 Furths / 44 Wainwrights / 21 Marilyns. The Mountains of Scotland are great but so are the Lakeland Fells. 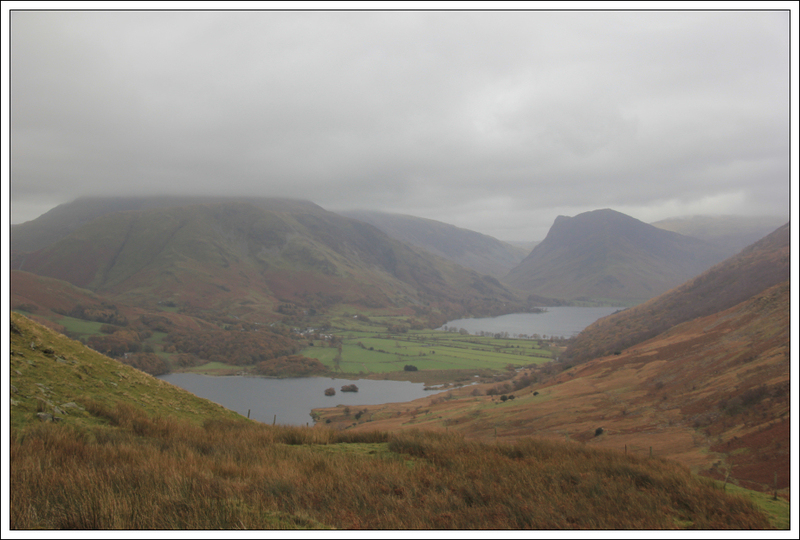 The Lake District is a relatively small, compact area with a large number of fantastic walks and scrambles up excellent fells. 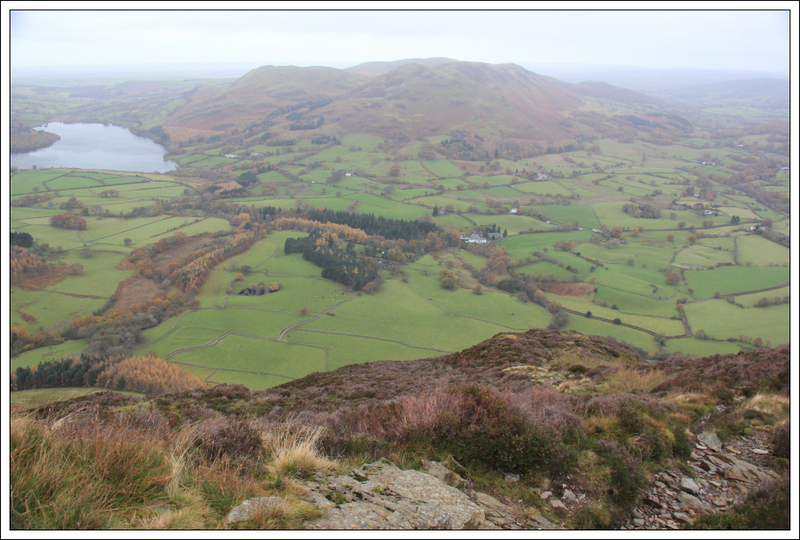 If you are based in the Lakes you can get to almost anywhere else in the Lakes within an hour. Many of the lakes are very scenic and part of what makes Lakeland special for me is the wide variety of beautiful trees. Scotland in comparison is just a mess of pine, excluding Scot's Pine of course. If you don't like crowds visit off-season but do visit. I am already looking forward to my next trip, hopefully in 2014 .